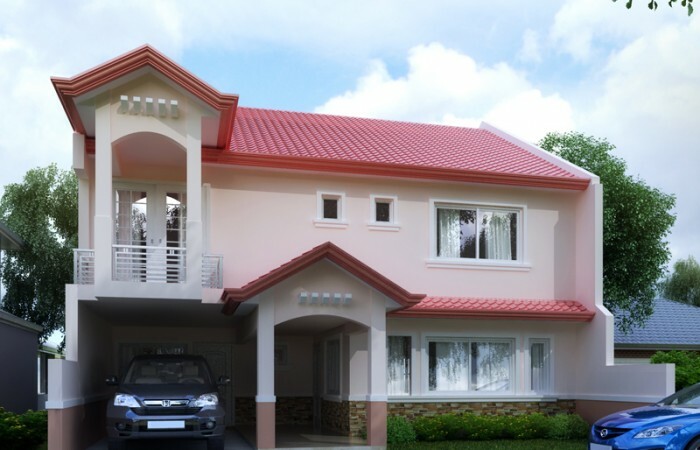 The wraparound front porch welcomes you to this classic design leading to the great living room. 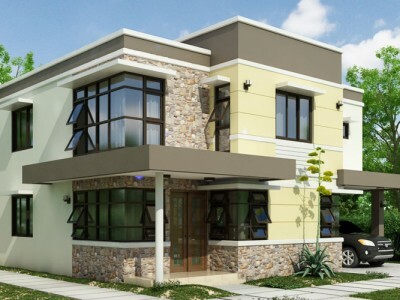 Two stylish floors await inside with the first floor which is devoted to living spaces. 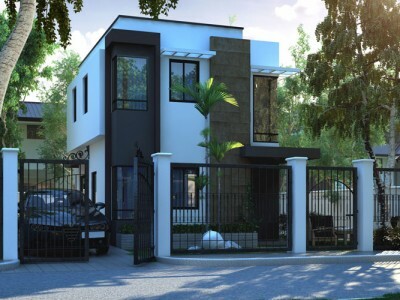 Upon entering, the first glance will be the great living room with a staircase built along the firewall on the right which indirectly but purposely separates the living room from the dining room for a little idea of privacy. Beyond the staircase, is a nice dining room and at the left is the carefully planned kitchen in a U-shaped type. Both the living and dining rooms are highlighted with stepped ceiling complemented with matching lights which offers aesthetic effects. A guest room is provided along with the maid’s room and service area that completed the magnificent L-shaped formation in the first floor level. The window sizes provided on the living room is a good concept for ventilation and comfort. 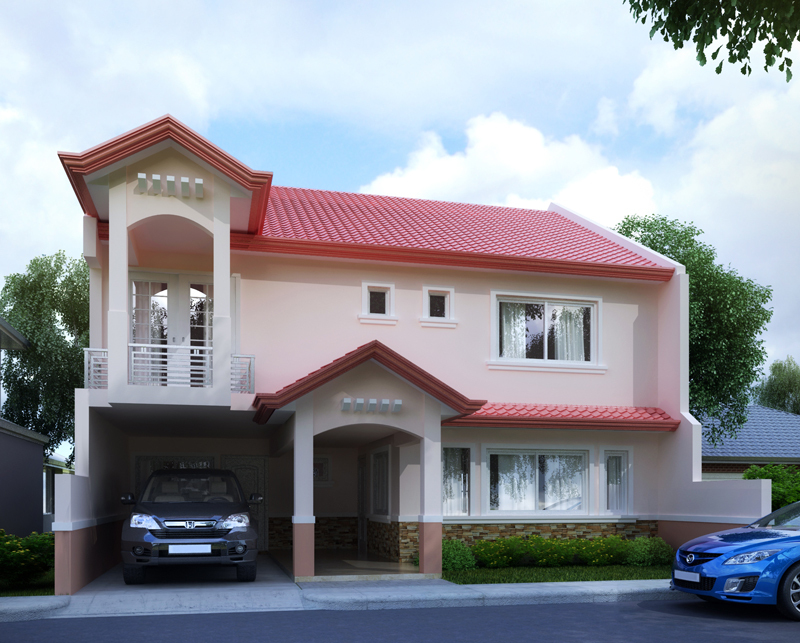 The second floor level of this design features three bedrooms, a family hall and a balcony. Each bedroom is provided with each set of aluminum cased windows just enough for receiving fresh air for ventilation. 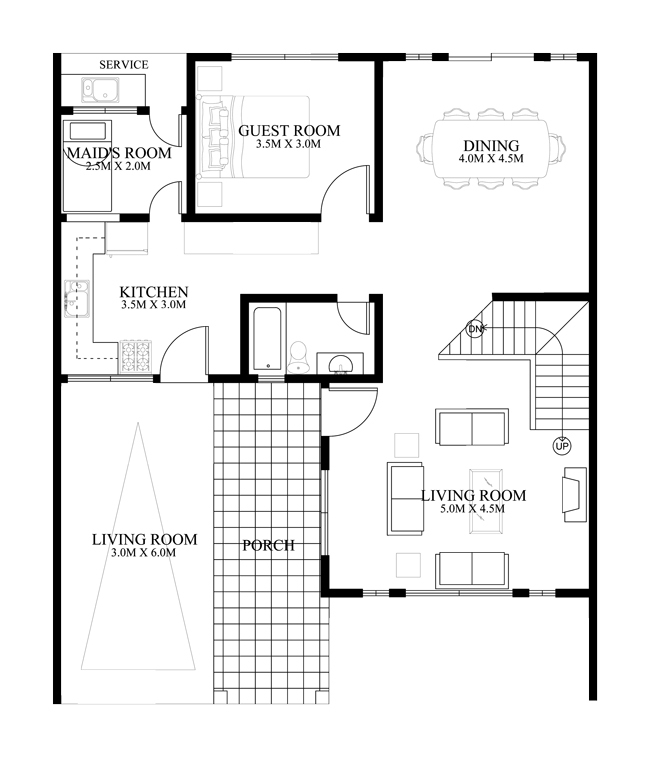 They are well arranged side by side with the family hall centrally located. 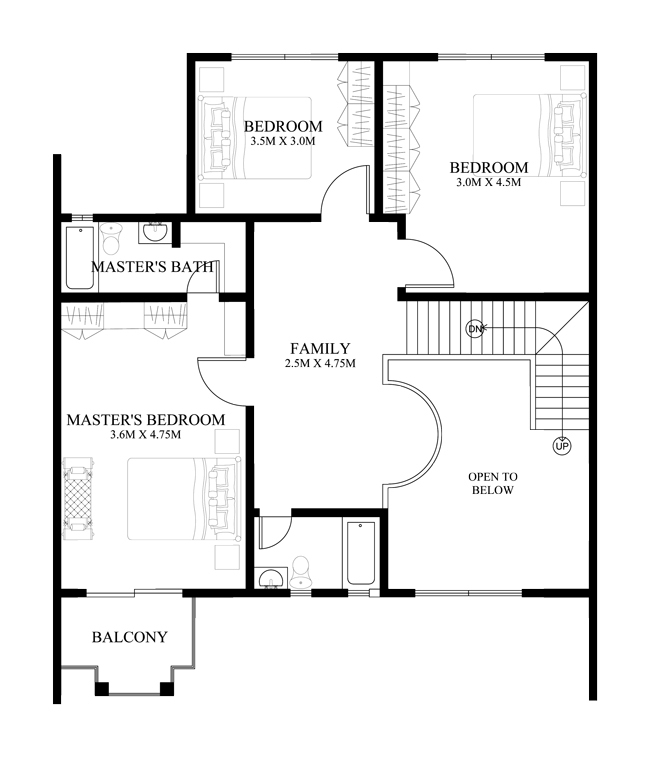 The dramatic master’s bedroom is accentuated with complete amenities such as stepped ceiling, direct access to the balcony via a sliding glass door, a private bath, a bath tub and walk-in-closet. The balcony which serves as an extension of the bedroom is equipped with layers of painted horizontal steel. The secondary bedrooms are similarly accentuated with nice beddings, share a common bath, and with separate walk-in-closets. One of the highlights of this house is the area beside the master’s bedroom designed to be open overlooking to the living room which makes this a magnificent idea. 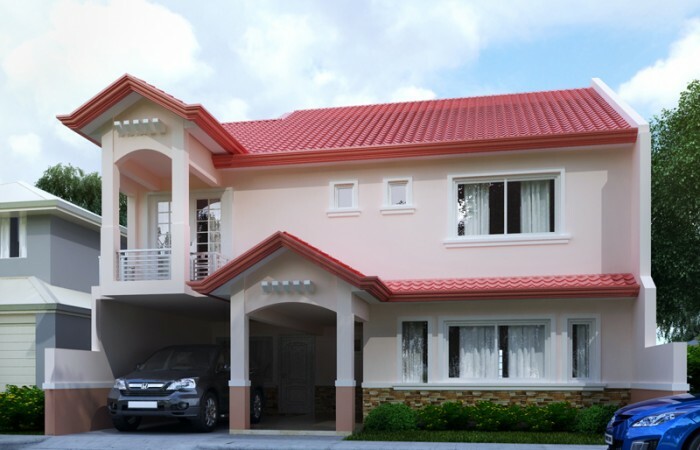 The vertical columns used as supports in the porch and balcony add beauty and strength which are similar to ionic architecture. 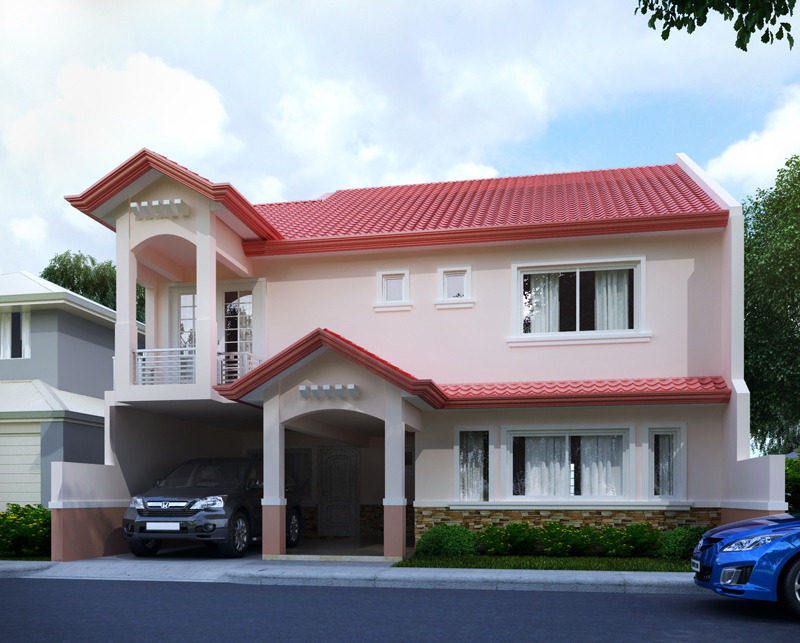 This particular house design will be recommended for any family with available budget. Hurry up, grab this enticing model. 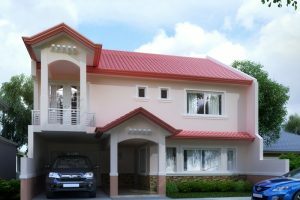 For other designs and choices check other Pinoy House Designs. Please visit our website. 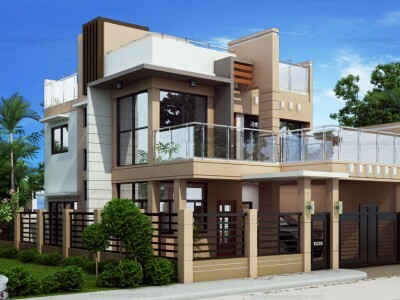 Pinoyhousedesigns.com or contact us.